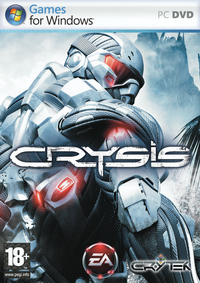 Los Angeles, CA – August 10th, 2007 – Film, television and video game composer Inon Zur has created the original musical score for Crysis the next-generation PC first-person shooter developed by Crytek and published by Electronic Arts. Renowned for composing emotionally dynamic orchestral music, Zur was commissioned by Crytek to produce a modern cinematic score that heightens the impact of the dramatic storyline, realistic environments and highly-evolved gameplay. The score was recorded with the acclaimed Northwest Sinfonia Orchestra in Seattle. Zur’s compositions feature sweeping themes, immersive setup pieces, intense action music, and „otherworldly“ musical soundscapes performed by the orchestra to invoke the alien influences in the game. Zur’s diverse repertoire of projects includes Hollywood film trailers, network television productions, CGI movies, blockbuster video games and symphony concerts. Most recently Zur composed the music for CBS‘ „Ghost Whisperer: The Other Side“ TV webisode series directed by Claudio Faeh (Hollow Man 2, Starship Troopers 3). For more information on Inon Zur visit www.inonzur.com. Ahh – finally Holidays !!! But now i am going on holiday and have a lot of fun ;). So for the next two weeks nothing much will happen for me on my own fan sites as well as on Jamendo and all the other communities i am a regular visitor to. Some friends will keep an eye on my sites during my absence and i hope they will manage to implement some long time scheduled additional features to the sites. Anyway, now „free time“ is king for me and i wish you a good time, too 🙂 ! !